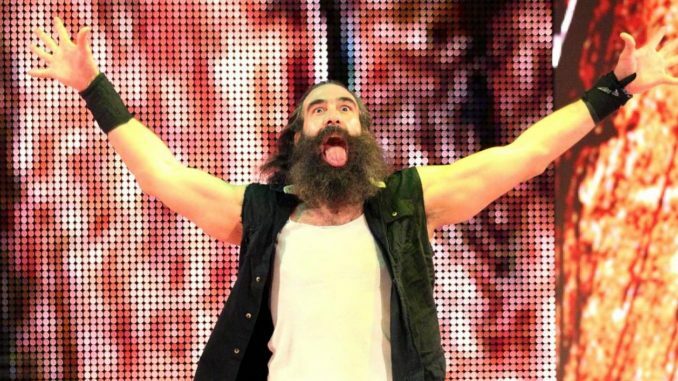 Luke Harper requests his WWE release, Superstar Shakeup Night 2, moves made on Raw, latest on Sasha Banks, a deep look into the rule sets in MMA in North America & more. **We have Rewind-A-Raw up on the site with Wai Ting and I reviewing Monday’s episode of Raw and going through all the Superstar Shakeup notes from the show. Plus, we discussed the news of the day with Ronda Rousey confirming prior reports about her sabbatical, The Undertaker’s U.K. dates for Inside the Ropes, Sami Zayn’s interview with TVA Sports, a Kurt Angle Q&A, and more. You can download the show directly from the site or subscribe to POST Wrestling for free on iTunes, Spotify, Stitcher, Google Play, or wherever you listen to podcasts. **We will be back with Rewind-A-SmackDown tonight discussing the second night in Montreal and the Superstar Shakeup. **A reminder that The Double Shot will be coming out Wednesday night for members of the POST Wrestling Café discussing Joey Janela’s Spring Break III Part 1 and 2, the Viceland Dark Side of the Ring episode covering the Montreal Screwjob and Being the Elite. **MLW CEO Court Bauer will be a guest on the British Wrestling Experience this Wednesday to discuss the promotion’s deal with FreeSports, which began airing Fusion this week in the U.K. and Ireland. **Monday’s Superstar Shakeup didn’t mean anything for Raw’s viewership as the show averaged 2,665,000 viewers. It was below the average of the five episodes of Raw going into WrestleMania, which averaged 2,705,000 viewers and down 26% from the 2018 Superstar Shakeup. The first hour did 2,760,000 viewers and fell to 2,690,000 in the second hour and 2,546,000 in the third hour, which was built around the final reveal of AJ Styles coming over from SmackDown. Thank you. From the top to the bottom of WWE. Thank you to the fans for your undying support. Thank you everyone. We have reached out to WWE regarding his status with the company. It is important to note he has requested his release and not stated he has received his release. He has taken the tact that Tye Dillinger did in announcing his request publicly. **A reminder for those in Canada, SmackDown will be airing on OLN and the Sportsnet Now app tonight due to the NHL playoffs. **The second night of the Superstar Shakeup is tonight with SmackDown Live taking place from the Bell Centre in Montreal. I was told that there will be quite a few names moving over to SmackDown and they are promoting Vince McMahon making the announcement of the “biggest acquisition in SmackDown history”. That level of announcement would suggest Roman Reigns as the likely candidate and makes the most sense to move. The only other option would be Brock Lesnar, which would ultimately come down to what his deal is with WWE. There is an argument that moving Lesnar to SmackDown and adjusting his arrangement to allow him to wrestle on Fox would be a big deal if built up for a big show when they make the move in the fall. Tonight’s show will also feature Paige introducing a team that she will be managing. It’s also an important show for Kevin Owens, who will be in front of his hottest audience of the year and it’s a chance to hit the reset button. His return was a victim of circumstances as he became the odd man out at WrestleMania. If Reigns is moving to SmackDown, he and Owens could benefit from working off each other in a babyface capacity and I feel that would be strong. Owens is at his best playing off others and allowing his natural comedic timing to shine while Reigns works well off people, too, and I think it would reinforce Reigns as a cool babyface. Then, when the time is right, Owens could turn, and they could get a lot of mileage out of that program. When Reigns is slotted as the “one-man army”, it’s a tougher sell to the audience and history has shown that he comes across more natural in a group setting. I would argue the same point of Reigns remained on Raw and aligning him closely with The Usos. **Based on Raw, it appears that New Day, Daniel Bryan, Charlotte Flair, and Kevin Owens are the major names remaining on SmackDown. The big names they moved were AJ Styles, Rey Mysterio, The Miz, and The Usos. I’m told there are more names being added to Raw and that will probably be revealed later this week on the website and social media. **Within WWE, they are hopeful Sasha Banks will be returning after being given time off. I was told by one person that they hope to have her on the next pay-per-view, but nothing is set in stone regarding her status. Banks last worked at WrestleMania teaming with Bayley where they dropped the WWE women’s tag titles to the IIconics in a match involving Beth Phoenix & Natalya and Nia Jax & Tamina. As of today, if and when Banks returns, she is scheduled to be on Raw. **After Raw, the WWE announced the website that Ricochet, Aleister Black, Lars Sullivan, and EC3 are now exclusive to Raw. There was confusion from the announcers regarding Ricochet and Black when they were introduced for the eight-man and what it meant for their status on the show. With Sullivan positioned as the top monster, it could open the door for Braun Strowman to move to SmackDown or at least keep them apart for as long as possible before that program, which seems like a natural one to build towards. I don’t know what to say about EC3 as Monday’s segment felt like a blow off to his character and I assumed he would go to SmackDown for a fresh start. **Mike Johnson at PWinsider.com reported that the Tennessee Bureau of Investigation has concluded its investigation into the death of Brian Lawler last July. The findings have been passed along with District Attorney General Mark Davidson and have not been publicly disclosed. It was believed Lawler hung himself in jail and was listed as the cause of death, although his father Jerry Lawler has voiced his issues with that conclusion. Jerry has spoken publicly about evidence that has questioned the cause of death and allegedly heard from those inside the jail with their first-hand accounts. **Ronda Rousey posted a message to Instagram on Tuesday, essentially confirming Dave Meltzer’s report from January that she is taking an extended break from WWE. Rousey posted a photo with husband Travis Browne with the caption “Impregnation Vacation”. A source close to Rousey informed ESPN’s Ramona Shelburne that Rousey is in fact, planning to start a family and will place on her on an indefinite hiatus. Rousey is under contract to WWE until April 2021 and there is no way of guessing when or if she would be looking to return. Within WWE, they knew her time as a full-time performer was limited and I was told as much back in June when the decision was made to put the title on her so quickly after debuting. I can’t thank you all of enough for the past 5 years it has truly been an honor and privilege to have been able to work for @wwe!!! To all of my fans throughout the years and coworkers who have reached out to me it truly means a lot!!! Although my journey with WWE has come to an end it’s just the beginning!!! I most definitely am not saying goodbye, but rather I’ll see y’all around!!!! **A reader of ours was at the Dallas Stars vs. Nashville Predators playoff game Monday night at the American Airlines Center in Dallas. They noted that there were several advertisements running throughout the night promoting Raw coming to the building on July 1st but there was no mention of the New Japan G1 Climax card later that week. **The WWE stock closed at $98.10 on Tuesday. **A second benefit show for Yoshihiro Takayama will be taking place at Korakuen Hall on August 26th. Takayamania Empire II will raise funds to assist with Takayama’s medical costs after he was paralyzed during a match in 2017. The first benefit show took place in August 2018 and featured Minoru Suzuki, Mazada, and Nosawa defeating Shuji Kondo, Taka Michinoku, and Taiyo Kea in the main event with talent from all over Japan coming to work the show. **Eric Shorey at Oxygen spoke with Evan Husney, the producer of Viceland’s Dark Side of the Ring series on the life and death of Frank “Bruiser Brody” Goodish. The episode on Brody was first screened at Starrcast last year and has been made available to those in the U.S. online. The episode will air next Wednesday on Viceland at 9 pm Eastern. In the episode, Brody is portrayed by wrestler Jake Something, who is about to debut on Impact Wrestling in a tag team with Cody Deaner. **Alpha-1 Wrestling had a big card on May 26th in Hamilton, Ontario headlined by Ethan Page taking on David Arquette. The show will also feature Impact Wrestling talent Moose, Sami Callihan, and Josh Alexander. The card takes place at 222 Queenston Road in Hamilton at 4 pm with tickets ranging from $20-30. **Dwayne Johnson is currently in Calgary filming the latest Jumanji film. **Impact Wrestling will be working with Booker T’s Reality of Wrestling for a co-promotional event on Saturday, July 6th. The promotions will present a show called Double Impact featuring cross-promotional matches from the Booker T World Gym Arena outside Houston and airing on Impact’s Twitch channel. They will be announcing matches for the show in May and tickets went on sale Tuesday. **Starrcast has announced that Dustin “No Legs” Thomas has been added to the convention in Las Vegas next month. Thomas was the breakout star at Joey Janela’s Spring Break last week after wrestling Tony Deppen on the first night and blew away everyone with his performance. Starrcast has also added Mance Warner, Sunny Onoo, and Ernest Miller. **Marc Raimondi at MMA Fighting has a fascinating piece on the disjointed rule sets with the sport in North America. With the introduction of the “new rules” that were introduced in January 2017 and various commissions either adopting them completely, partially or staying with the old rules, it has led to 10 different rulesets with North American among commissions and tribal bases. The rule most debated has been the definition of a grounded fighter, which was previously acknowledged as any body part besides the fighter’s feet, which could mean a knee, fist, or even one finger. It turned into a strategy among fighters to avoid strikes by touching the mat and either drawing the opponent to commit a foul and make it difficult in the heat of battle to decipher if the hand was touching the canvas or not. The new rules stated that the fighter was seated or had a knee down, he was a grounded fighter just like the old rules, but if not, either two fists or two palms of the hand had to be on the canvas to constitute a grounded opponent. Some commissions have adopted the new definition and others have not. In addition, instant replay has been implemented for fight-ending sequences by some jurisdictions, along with the elimination of heel strikes to the kidney being labeled a foul. ABC president Mike Mazzulli argues that critics of the grounded fighter definition felt the new rule would make it more dangerous for fighters, yet since the implementation, that theory has not led to any examples of that occurring. He also added that even going back to 2001, the unified rules were not truly unified among the commissions and tribal bases. That said, it was a lot less convoluted than it is now, which is a mess when you’re tuning into a card and figuring out what the rules based on the geography of the event. **The UFC 236 preliminary card on ESPN drew 893,000 viewers going against the NBA and NHL playoffs. The prelims were headlined by Matt Frevola defeating Jalin Turner by unanimous decision. This was a drop from the UFC 235 prelims in March that drew 1,480,000 viewers featuring Zabit Magomedsharipov vs. Jeremy Stephens. John Pollock is joined by Phil Chertok to review the excellent UFC 236 card from Saturday night featuring two of the best fights of 2019. The two go through the entire card from Atlanta with Dustin Poirier fighting Max Holloway for the interim lightweight title and Israel Adesanya and Kelvin Gastelum fighting for the interim middleweight title. John Pollock and Wai Ting welcome Benno (British Wrestling Experience, GRAPPL Spotlight) to recap a very eventful WrestleMania 35 Weekend in New York/New Jersey, discussing its best matches, best shows, and standout performers. John Pollock and Wai Ting host a very special live Q&A from New York City just hours before WrestleMania 35. The duo discusses everything including our thoughts on various wrestling topics, the formation of POST, our favorite fonts and more. Braden Herrington and Davie Portman are back with an upNXT HangOver… from New York City! They chat all about their crazy NYC adventures while attending WrestleMania weekend live. Plus, a review of this week’s WWE NXT HangOver. John Pollock & Wai Ting review the WWE Hall of Fame ceremony, Viceland’s Dark Side of the Ring on Randy Savage and Elizabeth, WWE Untold: Sting, and Being the Elite.